There are various different types of torts, and there are also what are known as intentional torts and negligence torts. For the purposes of personal injury law, we are mainly talking about negligence torts, though, there can also be a lawsuit for intentional torts like assault and battery, false imprisonment (civil kidnapping), arson, conversation (theft) and various others.When a claim is that a company was negligent in manufacturing a product, either with respect to the actual design of the product, or with the warnings given with the product (or lack thereof), we typically call this type of action a Boston products liability case. In some cases, we are talking about defective medical products, and in other cases, we are talking about dangerous drugs. In other cases, we might be dealing with an example of products liability action involving a car accident caused by a defective vehicle. In one recent case from the Supreme Court of Alabama, the family of a 15-year-old girl and a 16-year-old girl who were both in in a fiery crash filed products liability claims against the defendant that manufactured the car. The driver of the car survived but had third degree burns on more than 15 percent of her body. The passenger was killed as result of the fire. The driver survived, because she was able to escape from the burning vehicle, but she sustained nearly full thickness burns on her back, chest, neck, arm, and hand. This resulted in tremendous pain and suffering. Burn injuries are not only very painful and take a long time to heal, they also leave the victim susceptible to developing secondary infections that lead to serious illness or even death. They also require many surgeries to correct, and the patient is often left with very bad scarring as a result of third degree burns. The passenger was killed, as she was not able to escape from the burning vehicle. In this case, the older child was driving the car at 55 miles per hour in an area with a 35 mile per hour speed limit when she lost control of the vehicle. The car then spun around and crashed into a utility pole. When the car hit the utility pole, it stopped and then burst in flames. Both families filed products liability claims, and the family of the deceased teen passenger also file a wrongful death claim. 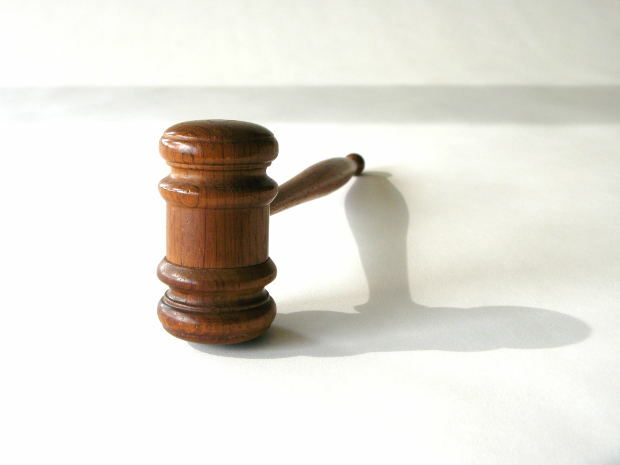 One thing to keep in mind is that every case must be filed within the statute of limitations. However, different claims can have different time limits in which the claim must be filed. While you speak with an experienced Boston products liability attorney about the actual statute of limitations in your case, it is important to note that wrongful death claims have a shorter statute of limitations than many other torts. This does not mean that you would not be able to still file the cause of action if you missed the deadline to file the wrongful death claim, but you would be barred from filing that specific claim. This would limit the types of damages you could get. In a wrongful death claim, there is often a demand for funeral expenses and a larger lost wages claim. There could also be a credible demand for more damages in general. The type of negligence alleged in this case was that the car maker used a plastic fuel tank, as opposed to more rigid metal one, and placed that fuel tank around half an inch from the steel muffler. On this particular model of car, the plaintiffs alleged the muffler had sharp edges that punctured the fuel tank when the crash occurred, causing vapors to reach the hot muffler and ignite. This caused the fuel inside the gas tank to ignite, and the car burst into flames causing serious personal injury and death. It should be noted that in the original complaint, the passenger’s family filed a complaint solely against the driver of the car. As we have discussed on our blog on car accidents, a passenger is very rarely held to be any way liable for injuries suffered during a car accident. However, the family of the driver of the car, who were the original defendants, felt that it was mainly the car manufacturer’s fault that the injuries occurred. Their contention is that the passenger would not have been killed had the car not burst into flames. This allowed them to file a cross claim against the car manufacturer, bringing them in as third party defendant. This is done through a procedural device known as impleader. At this point, the original defendant also filed a claim against the car maker in which they also alleged products liability as a contributing factor in the car accident. Prior to the trial, the family of the child who was killed in the accident settled their claim with the driver’s insurance company. This claim was settled in amount of $100,000. This was likely at or close to the policy limits, and the claims were dismissed. At this point, both victims and their families became plaintiffs against car maker. During the 11 days of trial, plaintiffs introduced evidence that in 80 other models of similar cars, there was a buffer (the rear axle) between the tank and the exhaust. They also showed that to meet special requirements in California, a muffler with no sharp edges was used in the same car. Car maker showed that other makers used the same muffler with sharp edges. The jury found in favor of plaintiffs, but the defendant appealed, arguing that certain evidence should not have been admitted. While this goes into a lot of detail about that state’s law, it is most important to understand that products liability cases can be very complex and rely on the use of a lot of expert testimony. You want to make sure your products liability attorney has experience with these complex matters and is ready and able to fight for your right to full and appropriate financial award. In this case, the court of appeal ultimately affirmed the verdict in part and reversed it part. The plaintiffs were awarded $3.9 million.